BOOK ONLINECLICK TO CALLCALL US 800-464-6824BOOK TODAY! Flying over 40 years in the Napa Valley! Join us in a hot air balloon Napa style. It happens in the Valley. Let’s meet up in sky. Book a reservation today! See what our guests say about flying with Balloons Above the Valley! We live by, serve by and grow by our guests’ safety and fulfilling experience. This is our #1 priority ~ Always! A hot air balloon Napa style provides you with views of the valley in ways you’ll never forget. Balloons Above the Valley has been flying hot air balloons in the Napa Valley since 1976. 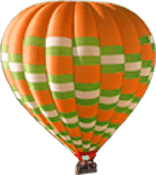 Bob Barbarick is a pioneer hot air balloon aviator by creating his balloon company in Napa Valley and providing flights in the largest hot air balloons in America. Since that time, Balloons Above the Valley has built a reputation that surpasses all others in industry standards, quality of service, operations and flight safety. Balloons Above the Valley continues to this day the attention to detail and “I Care” attitude that has established its current standing as the premier hot air balloon Napa-based company in Northern California. Balloons Above the Valley lives the belief that when you treat everyone like you would like to be treated, you will be successful in whatever you do. This has proven to be true for us. Balloons Above the Valley has stood the test of time for over 40 years and counting, continuing to provide unique experiences to each customer that chooses to board a hot air balloon in Napa. Such commitment to excellence and customer experience has enabled our company to last and thrive. Check out our balloon ride packages from Brunch to Wine Tours and choose the right hot air balloon ride experience for you! 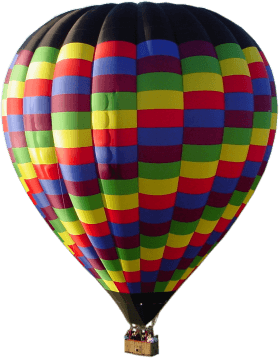 Learn a bit more about our qualified pilots who will be providing you with an unforgettable hot air balloon ride in the Napa! Stay up to date with what’s happening in Napa Valley, tips on planning your vacation and hot air balloon ride, and learn more about wine country. Balloons Above the Valley offers many flight options to accommodate everyone’s tastes. A hot air balloon Napa style shows you the valley from a remarkable view. For those wanting the simplicity of a balloon ride in Napa, the Balloon Flight option accommodates perfectly. After enjoying coffee and pastries, you’ll board the hot air balloon and enjoy the sunrise from high above. For those that get the post-flight hunger, our Flight + Champagne Brunch is the one to choose. This balloon ride in Napa includes everything from the previous option but adds on a spectacular Champagne Brunch from the Michelin rated C. Casa after the flight. But in the end, a hot air balloon in Napa wouldn’t be complete without a wine tour. Our third flight option is the Flight + Wine Tour. For wine enthusiasts, this fits seamlessly into your balloon ride experience. This option includes pre-flight coffee and pastries, a Napa balloon ride, a champagne brunch, a wine tour of 4-6 premium wineries, and a tasty lunch to finish off the trip. This option let’s you split the trip into two days if you wish. For those travelling from the city, our San Francisco to Wine Country package is a must. This 2 day adventure includes getting picked up from the city, enjoying an on-board mimosa and breakfast as you travel to Napa, a photo stop at golden Gate, a picnic lunch, and a magnificent Wine Tour. The second day is our favorite: a hot air balloon in Napa! After your flight, you’ll enjoy a Champagne Brunch and we will then transport you to the ferry building in Vallejo, hand you your tickets back to the city, and say goodbye. Unable to join a hot air balloon Napa style? We didn’t forget about you. With the Chase Package you can enjoy all of the above but when it comes to the balloon ride itself, you get to hang out with the ground crew and follow the balloon to its landing.